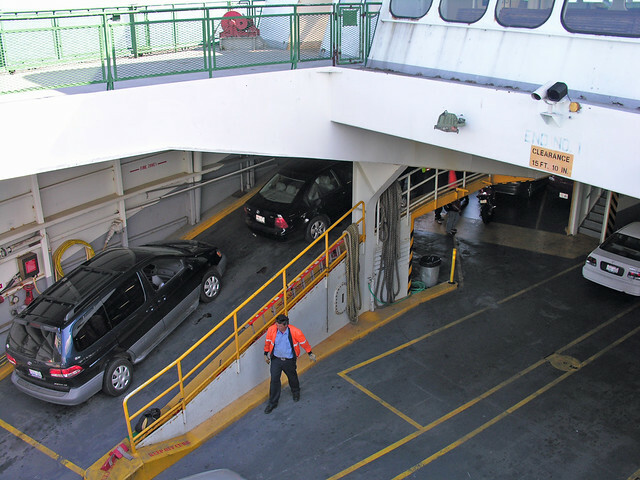 Here's a video of a vehicle loading onto the fixed-mez deck of a WSF ferry. The lady's commentary while loading is pretty funny. Next, probably the photo I gave the most consideration to. 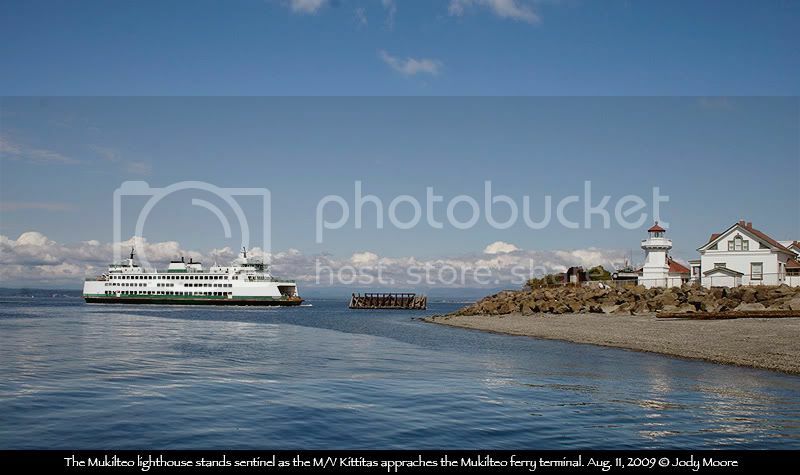 I have a pic of the Kittitas with the Cathlamet in the background that I liked quite a bit, and almost used. 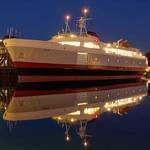 Problem is, it's very similar to the photo I shared of the Catlamet. After flip-flopping back and forth, I decided to shake things up and use something different. Great comparison of the before and after. Thanks for sharing those photos, EGFleet. 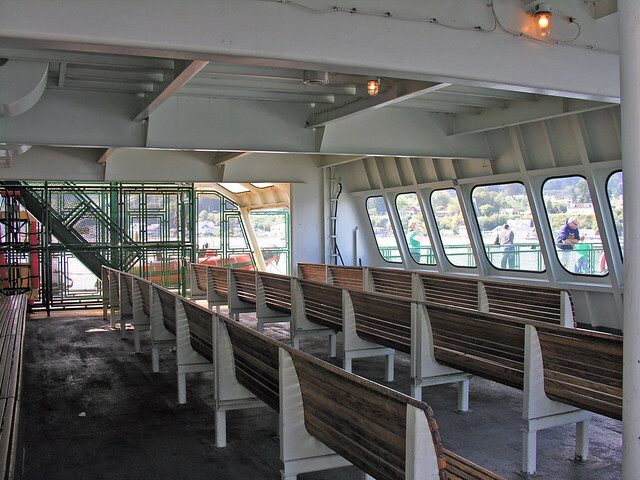 The original cabins on the Issaquah's really were bad. 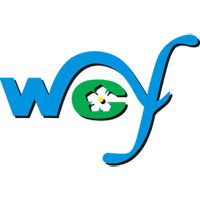 Here's a fantastic photo I am moving over from the now defunct "New WSF Photos" thread. This one was taken by member Trackside. 2. Tilt - I work in Mukilteo and one of my favorite things to do is to go down to the Lighthouse Park and watch the ferries during a windstorm. 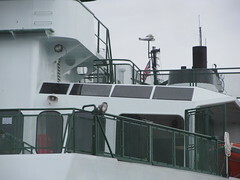 Here is the MV Kittitas approaching Mukilteo. 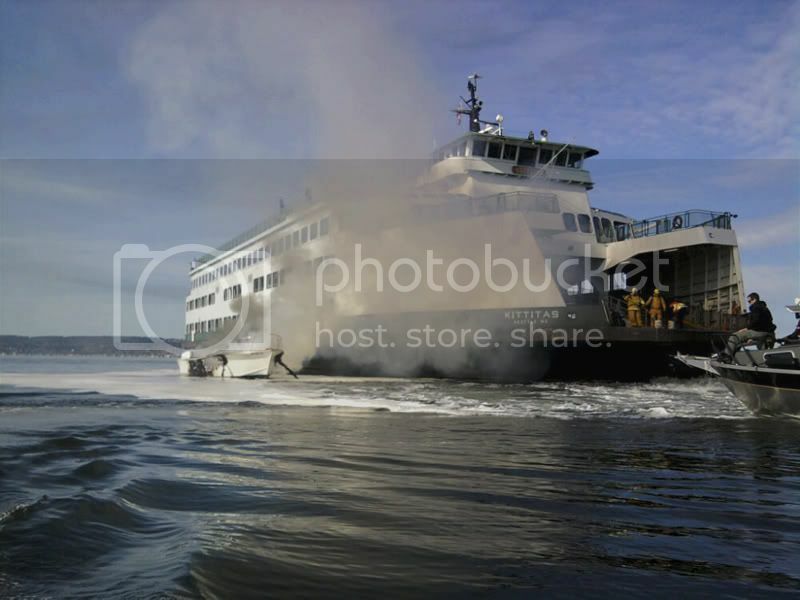 Nice photo's of the Kittitas at Anacortes. Was she filling in on the San Juan run? It is rare to see the Kitt away from Mukiteo-Clinton. This is like having the Klahowya some place other then on the Vashon run. She did a few summers up in the islands. The "Collector's Postcard" of her is a shot taken while working in the islands. 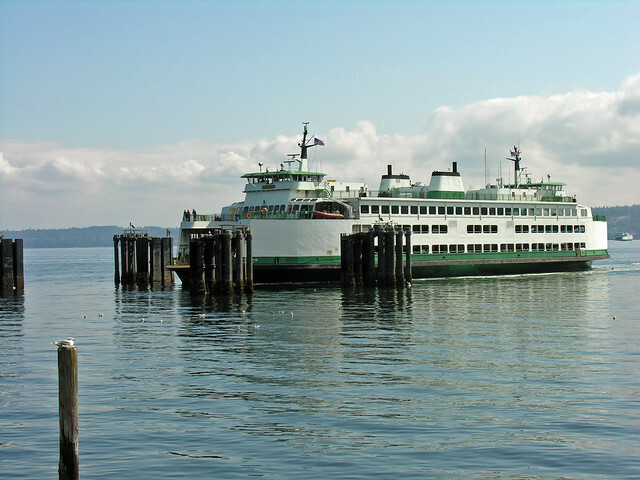 She has spent the bulk of her time with the Cathlamet on the Mukilteo-Clinton run, but that period of time when the Issys were getting rotated in and out for car deck expansions, (and various mechanical failures!) and the Steel Electrics were getting their last overhaul etc they moved around a bit. 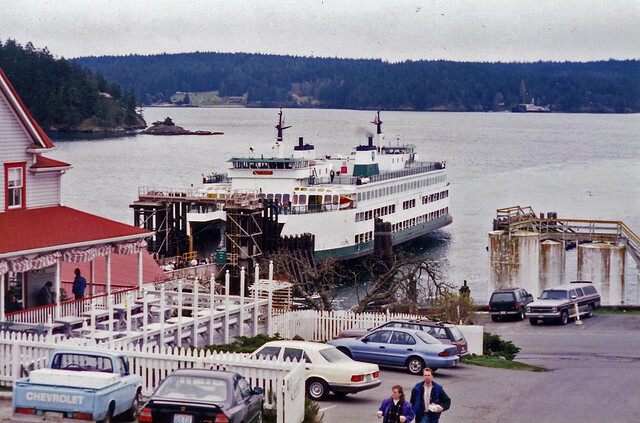 These days the Issaquah is thought of as a "Vashon boat" but she actually started out on the Bremerton run and stayed there for many years. 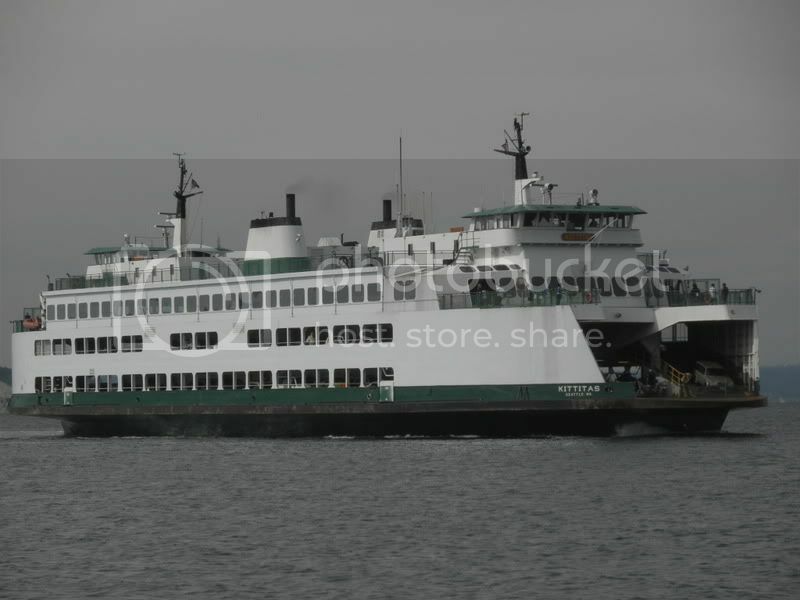 Vashon boats do tend to stick there though. The Quinault spent about 30 years on the route, and the Klahowya has been there, with rare exception, almost non-stop since 1958. There was some time out on the canal and the Kingston stint when she dropped a rudder, and more recently she did some time as Inter-island, but 99% of the time she's been at Vashon. Yes, those are old postcards. I don't think the Kittitas ever appeared in the San Juans once they jammed (and yes, I choose that word advisedly) the ramps in. 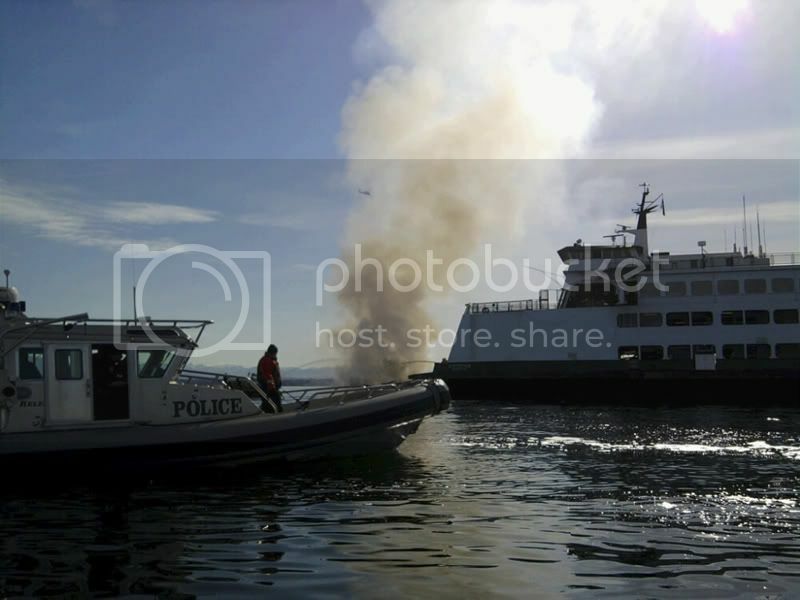 In fact, I think the first fruitboat to show up in the San Juans on a regular assignment* with the 'Tweenies was the Chelan in 2001. 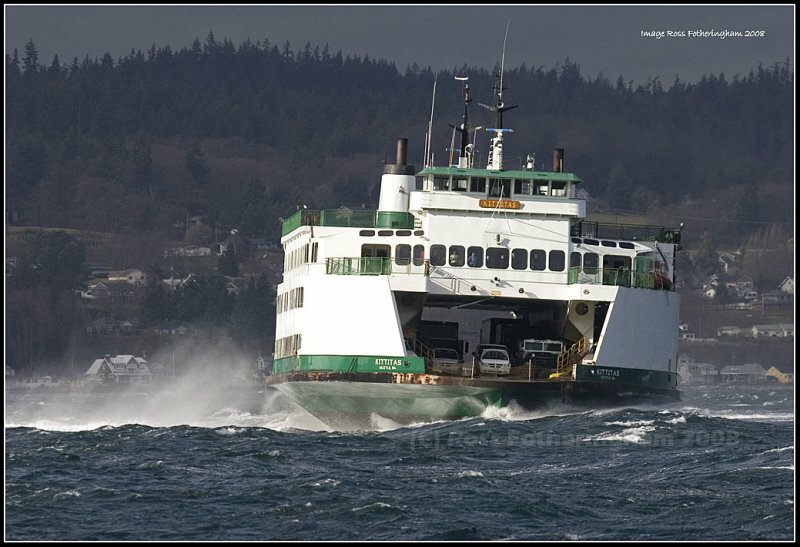 *I'm sure the Kitsap blew through on a relief stint sometime before that, though. 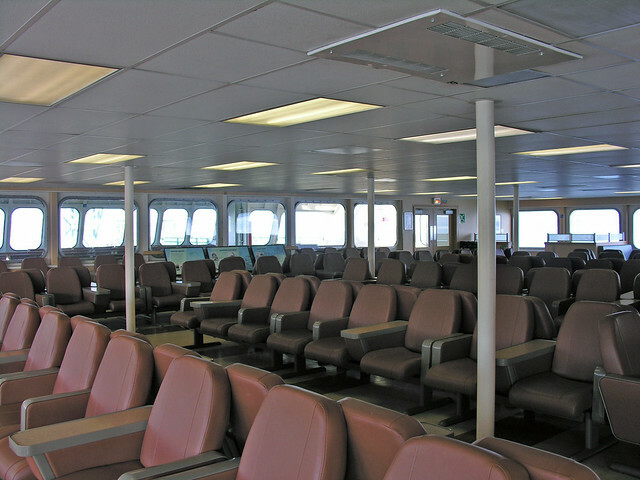 The Kit was our normal Boat in Clinton and most of the time she would only be in the San Juans when they needed her to fill in for another, meaning we would get a SE.. I remember very clearly we had just gotten her back when the ramps were installed and they took here up there to fill in for a Super that was down and we again got an SE.. Sometime we would get an evergreen if we were lucky.. I don't think the Kittitas ever appeared in the San Juans once they jammed (and yes, I choose that word advisedly) the ramps in. 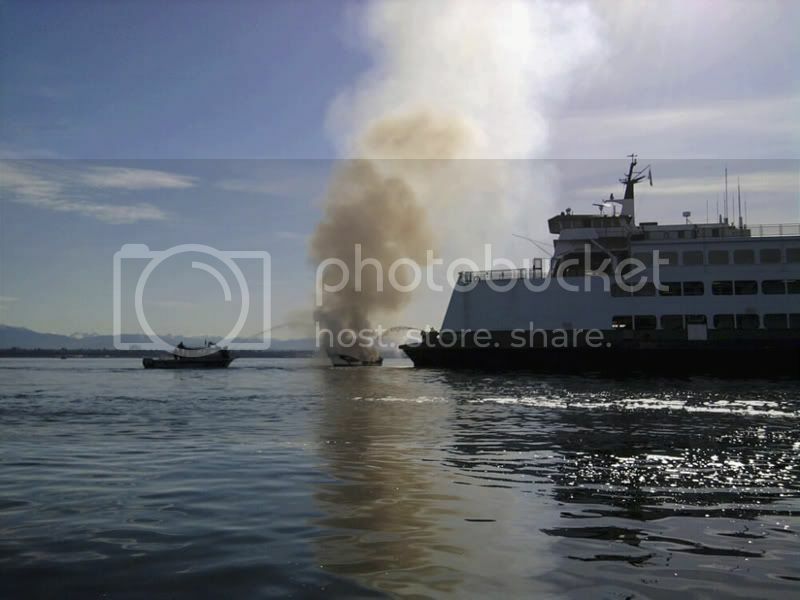 In fact, I think the first fruitboat to show up in the San Juans on a regular assignment* with the 'Tweenies was the Chelan in 2001. 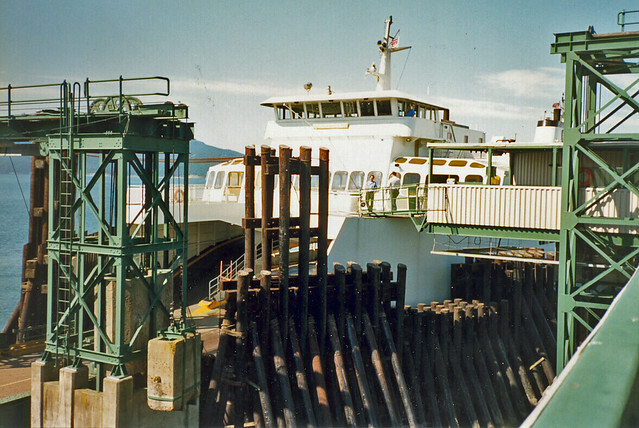 If you look at my photos of Kittitas at Anacortes in 1991 a few posts up, you'll notice she had the ramps by then. 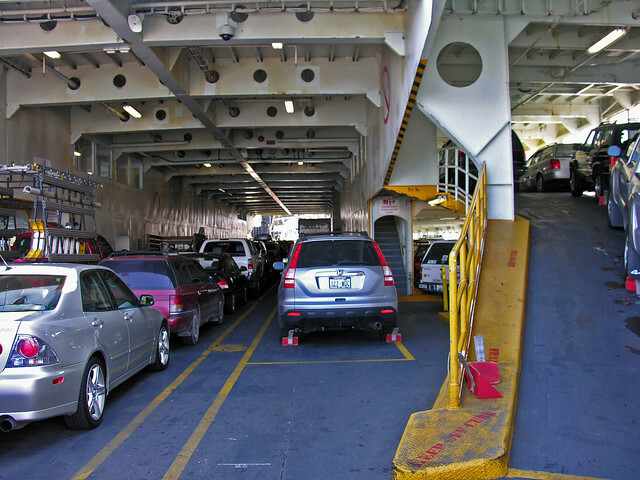 Does anyone know when they installed the "Tween Deck" ramps on Kittitas? It must not have been long before I took those photos in 91. Bleah. I really must stop posting on here when I'm tired. 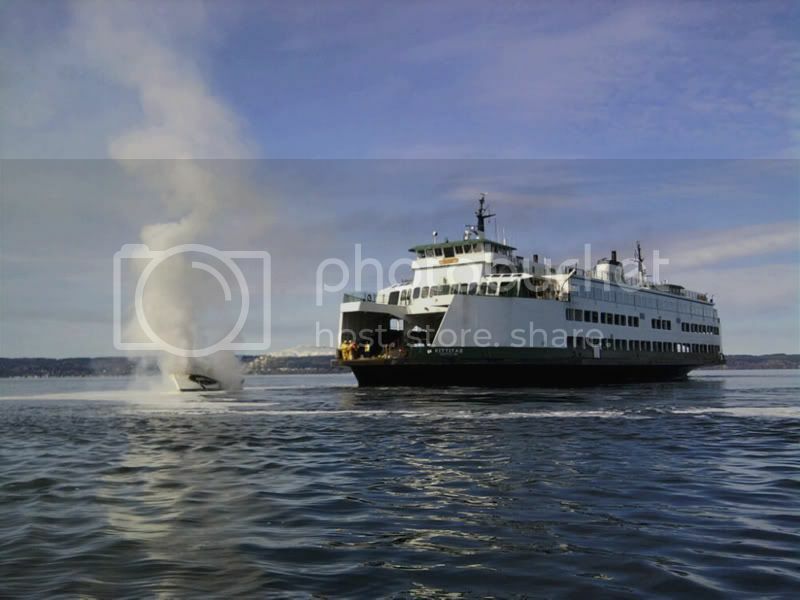 Oh, and I'd have to guess that your photo of the Kitsap is after 1995--the OGB racing stripes started disappearing around then. I think it was 1997. 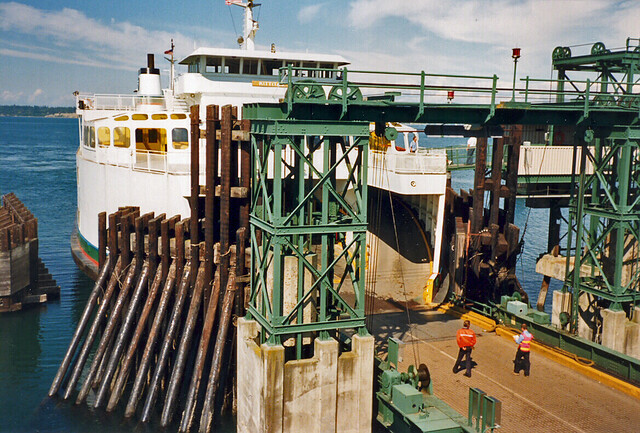 It was definitely before that fateful day in September of 1999 when Elwha wiped out the Orcas dock. And come to think of it, I don't recall seeing the Kittitas up in the islands from 1997 onward. She may have played through on a brief relief, but by then the Kitsap was a reliever. Alright, the Kittitas is back in service. 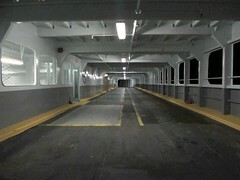 The car deck walls have been repainted and look great. 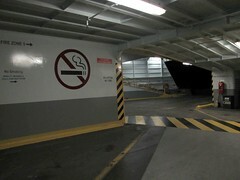 The walkways to the evacuation slides now have glossy paint that is black and yellow. 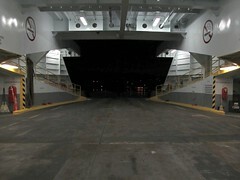 There are a few patches of gray non-slip paint on the main car deck floor, but the rest of it appears to have been sanded down. The lines are pretty much non-existent. It looks like somebody sanded it and forgot to put the paint down...Strange. I meant to post theses a few months ago, they were taken by a life long Friend, Kevin Simmons. Thanks for sharing...When did that happen? They look like they're just pasted down on top of the steel. Probably wouldn't harm it structurally much, if at all. It was one of the things changed on her when she was getting a new paint job, they did a few things like thing.. and it's not just the top front windows, they took out all the skylights on top there and did the same thing, so inside you have the steel hole and above it you have this darkened thick glass above. Also when in the outdoor shelter deck, you still smell the paint very strong.. I noticed it last night on my way home. That paint smell is incredible. It still smells like it's just applied (well, not quite, but it's strong). That was the first hint that those areas were painted. 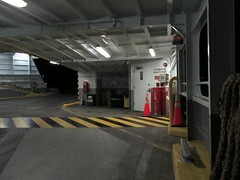 It's also the same story along the walkway between the first and second set of stairs between the car decks and the cabin. 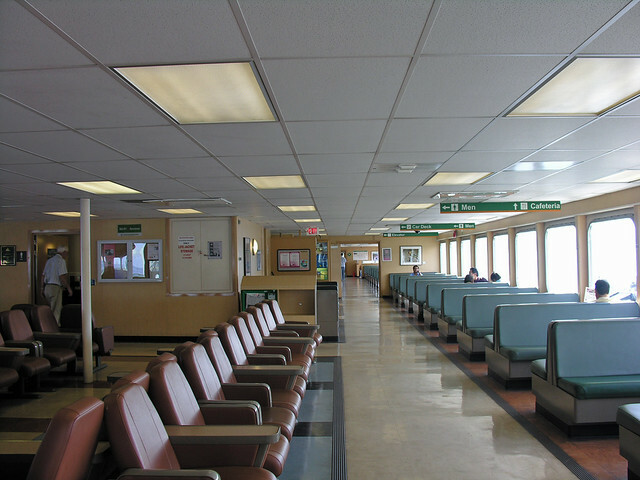 I did not notice the change in windows until after I was off the boat. This would be why the elevator buttons were replaced...from the contract info on the Kittitas. 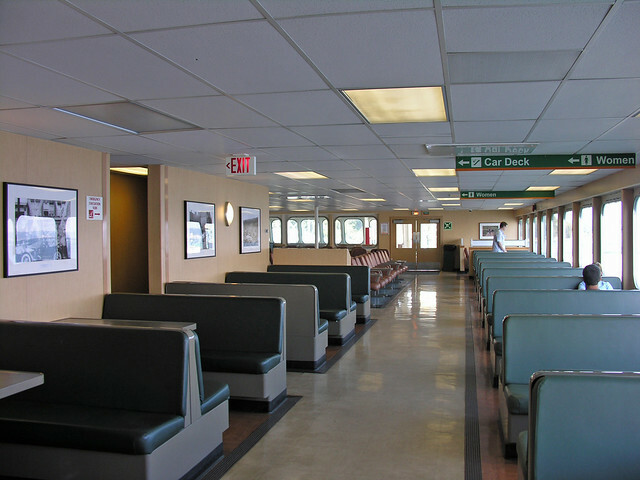 The Kitsap also had the same thing done. 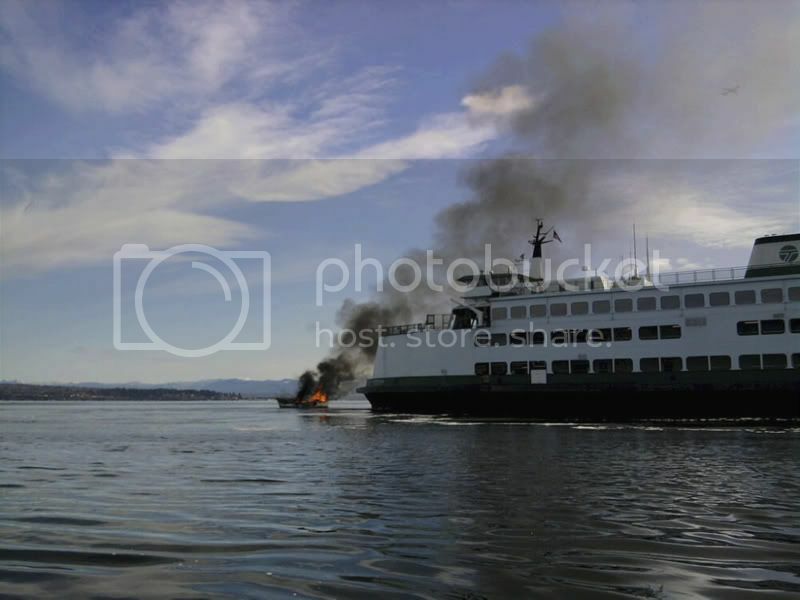 I imagine that the other Issaquah boats will get the same thing done. I also noticed that the Walla Walla has the same type of elevator buttons now. They are round stainless steel buttons with a red LED in the middle.